The heavy duty free fall in some of the global indexes finally caught up with US markets. Check out some of the following ETFs: EWW EWU EWM EZA EWA…etc. Obviously the selloff in Crude hurts new emerging markets ans countries like Mexico and Malaysia, but even the FTSE is close to new lows on the year and has good downside momentum. 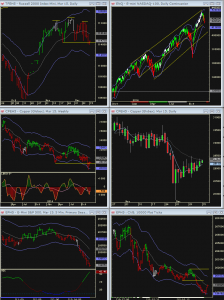 Market internal indicators are approaching the lower end of their range. The Summation Tick chart is oversold. And the daily structure is still a pullback in an uptrend. 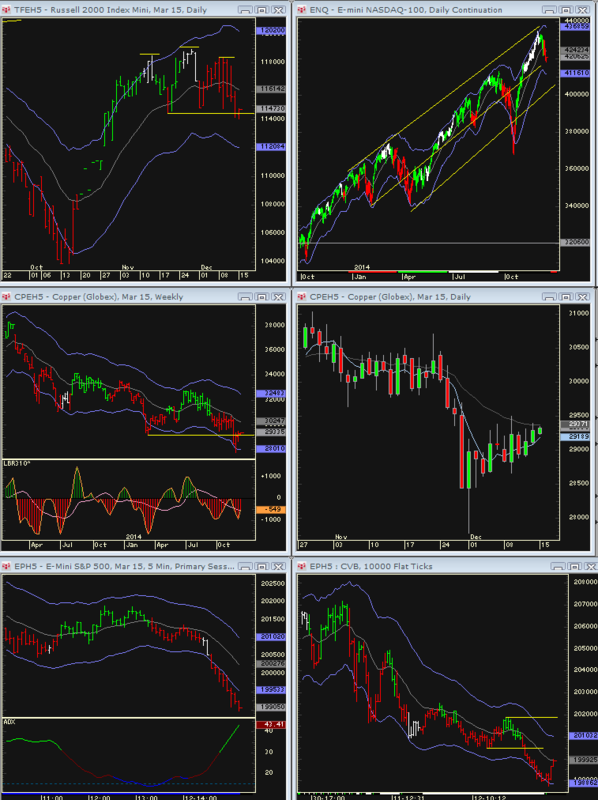 However, many individual stocks have broken down and made new momentum lows, and indexes can still trade lower. I am not sure I remember a period in the past where there has been such an extreme divergence between the number of shares that were making all time highs last week and the number of shares with serious breakdowns. If we look at the broad market, via the Russell, on the daily charts there is an interesting juncture: A possible “bear trap” or flush below a previous key swing low if the Russell futures close back above the 1144 – 1148 area. OR, the head and shoulders top formation on the daily charts can lead to a much deeper markdown. The NAzdaq has been the strongest index and the chart there shows a pullback in an up trending channel. 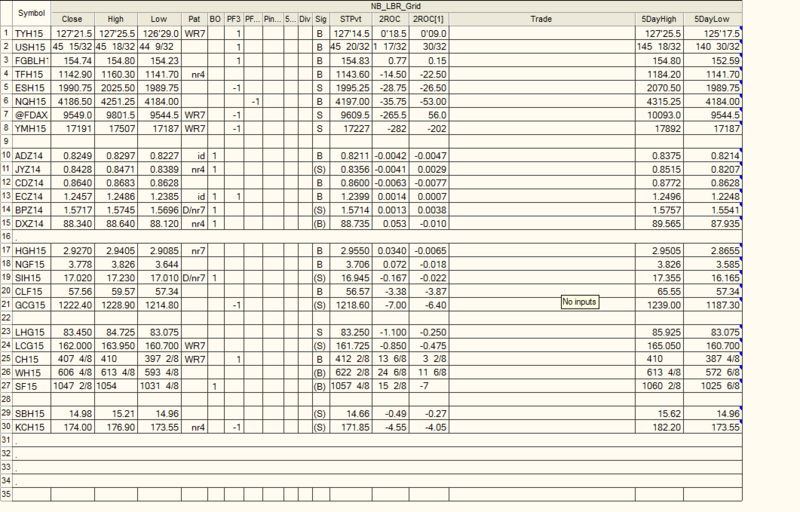 However, you can also the the extent of previous pullbacks. For Monday: there will be 5 minute GRAIL sales on the first reaction up (basis the pit session). 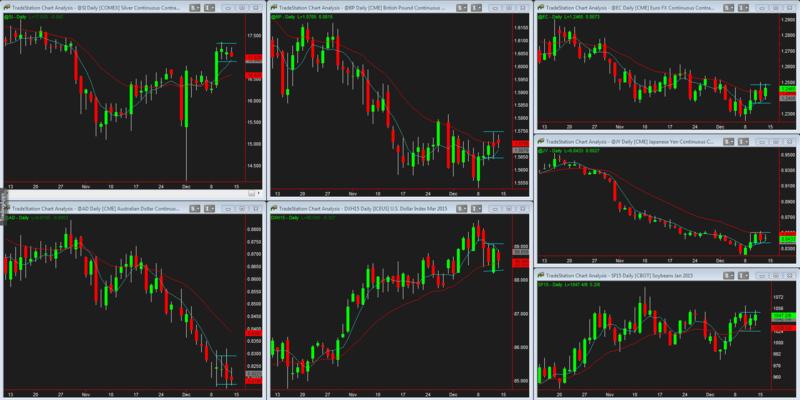 The lower left chart shows where the 5 minute EMA comes in. On the tick charts, it will probably fall in the zone marked off. So any morning rally will be a short for a retest back down. Any morning gap down would also be a Buying Opportunity given the overdone mark down in the last hour. 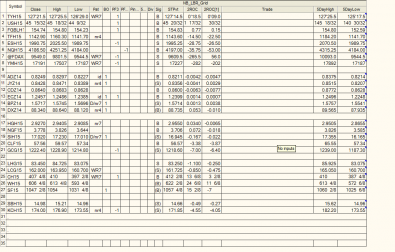 However, the SPs are already trading up in the Sunday evening session, so this is less likely. A market to keep an eye on: Copper…there is a very tight chart formation that can lead to a breakout. The weekly charts show the possibility of a bear trap. The commercials continue to build massive net long positions. Don’t Try and Anticipate any moves to the upside, but keep any eye out should this market make new momentum highs on the hourly charts.